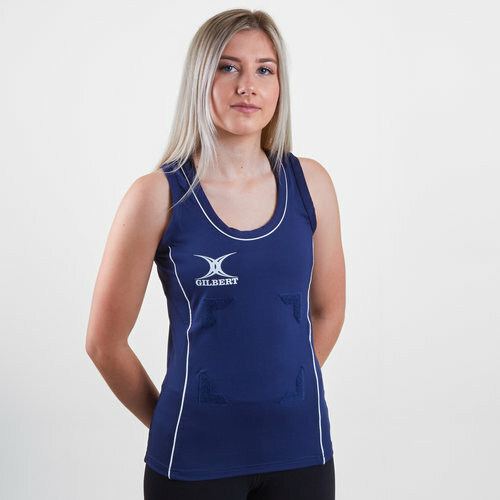 This tank top in navy and white made from 90% polyester and 10% elastane is both lightweight and comfortable, designed to be sweat wicking keeping the wearer cool under pressure. The scoop neck ensures the wearer has the full range of movement. Hook and loop attachments are placed front and back for position patches.